Demographic changes play a vital role in growing demand for global food supplies. However, every year over 50% of all food is wasted globally. Frozen food sector can garner new business opportunities and contribute in the reduction of food waste. With increasing hectic lifestyle demand of portable food is also increasing. More than 75% of people across the world prefer investing in “on the go” consumption of food rather than conventional food. This is providing an attractive opportunity for frozen food vendors to offer food which can be consumed anytime and anywhere. 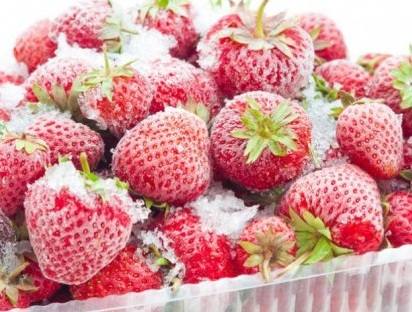 Improvisations in defrosting technologies are providing new business prospects for frozen food products. Tillman's Toast Me and Gogol Mogol by European packaging company KIAN are some innovative examples of portable frozen food products. However, changing dietary habits and consumption of unhealthy food are causing ill effects on consumer’s health. In 2011, as per European Academy of Allergy and Clinical Immunology (EAACI), over 15 million population of Europe are suffered from food allergies. Similarly, obesity rates have doubled in Mexico in the last two decades. This is creating an intensive pressure on frozen food manufacturers and driving the need for innovation in frozen foods which will intact nutritional benefit of the products. Owing to the increasing demand for convenience and diverse product portfolio of frozen foods, the market is expected to witness notable growth in the near future. The global frozen food market valued USD 137.8 billion in 2015 and is estimated to grow at a CAGR of 4.0% during the forecast period. Based on geography, Europe occupies the largest market share for frozen fish and sea food market, owing to the high consumption of fish and sea food in the region. Spain and France consumes over 40 kg fish per capita whereas the UK and Germany consumes over 20 kg fish per capita in 2015. Europe frozen food market is projected to grow at a CAGR of 3.0% over the forecast period. North America accounted for 31% revenue share of global frozen food market in 2016 and occupies the largest share for frozen meat consumption. In 2015, total meat consumption reached around 40 billion tones in USA. Asia-Pacific and Latin America region have lucrative opportunities for frozen food due to increasing demand of convenient products for meal preparation in emerging economies such as Brazil, China and India. Fish consumption is high in countries such as New Zealand and Australia which has over 30 kg fish consumption per capita while Brazil and Mexico consumes over 10kg fish per capita. Latin America accounted for 8% share of global frozen food market in 2015. However, low penetration of frozen food mainly fish and sea food is impacting the growth of frozen food market in the region. Rising disposable income and increasing middle class population have shown the increase in sales of frozen products offered by regional players such as Ajinomoto Co. and Henan Shuanghui is likely to contribute in the expansion of frozen food business in Asia-Pacific region. In past three years, the UK online stores showed an increase of 25% in frozen food sales as compared to retail stores. Rising urbanization and emerging trend for online food shopping mainly in developed economies is creating remarkable business opportunities for frozen food market. The World Trade Organization (WTO) has reduces tariff barriers and offered export subsidies on several frozen products, which is likely to fuel the demand of frozen food market in the near future. However, high energy consumption by frozen food is a major factor which is hindering the growth of frozen food across the globe. On an average, frozen food consumes an average of 25 mega joules energy per kilogram while transportation from farm to consumers increases the transportation cost. Moreover, lack of proper refrigeration facility, rural areas are obstructing growth of frozen food market majorly in developing economies.